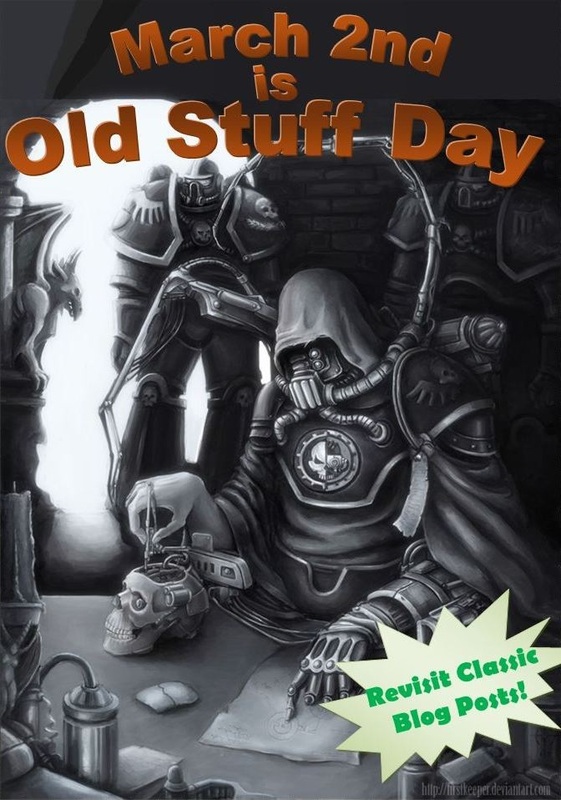 It's old stuff day 2016. A few years ago now warhammer39999 wanted to join a movement to rediscover lost gems from the world of hobby blogs. To choose one of your own blogposts that your most proud of, or may not have got the attention it deserved or any thing that may warrant some necromantic blogpost bothering. On top of that you were to share blogposts from other bloggers which you thought deserved the same spotlight of attention before they were returned to their dark nightmare infested slumbers. Over the last few years I’ve formalised this a little more by picking a buried gem of a post from each successive year but this year I’m going to do something slightly different that harkens back to the original premise – 1 post and a few more that reaffirms my own interpretation, but with a twist. Now to my annual look backs and the twist is simple, here are all my Old Stuff Day posts for the last four years [2013 was the year my Dad died so I never got round to taking part]. This wealth of Old Stuff gives you all a massive amount of my own ‘greatest hits’ and some of the hobby-verse’s best hobby goodness. That should keep you SOOOOO busy catching up it’s just not funny. Found it ages ago, it blew my mind for the detail, wealth of knowledge and ideas. Not to mention how much was written in just one blog article and there's loads in there too. We'll worth looking at for those wanting to enter the Adsense competition.